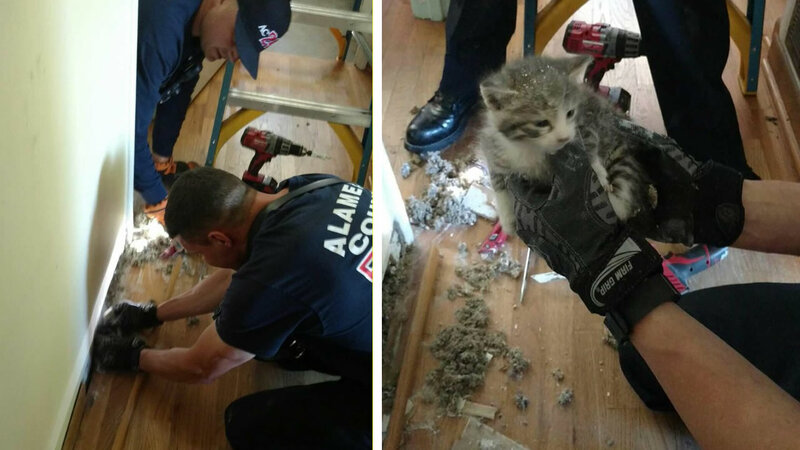 SAN LEANDRO, Calif. -- A tiny kitten is safe thanks to Alameda County firefighters. They used thermal imaging to find the kitten trapped in the wall of a San Leandro home after the feline had fallen from the attic. Firefighters cut a small chunk out of the wall and pulled the kitten free. It appears to be in good health. Click here for more stories and videos about animal rescues.